Brides, bridesmaids and prom dresses will be the theme for a wedding show with a difference this month. Creatiques, an award-winning design studio for designer and couture wedding gowns in Southsea has teamed up with Mark Lesley Bridalwear to promote a new collection of dresses at the Royal Marines Museum in Southsea on October 23rd. 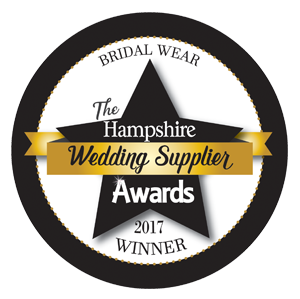 Mark Lesley Bridalwear, winner of the Retail Bridalwear Association’s Rising Star Award 2011 is bringing their collection to the museum and then to Creatiques in Marmion Road for the week after so that brides-to-be have a chance to try on their dream dress in privacy. The dresses will be modelled in fashion shows throughout the day and also presented on mannequins to be viewed afterwards. Doors open at 10.30am with fashion shows at 11.30am, 1pm and 2.30pm. The show is running in conjunction with Prom week so as well as bridal wear, a collection of prom dresses can also be viewed at the museum in half term week from 24th until the 30th October. A £50 deposit paid on the day will secure a dress so that next year’s prom attendees can be safe in the knowledge that they have their dress ready for their end of school event. VIP tickets are available which will be entered into a draw to win various spot prizes, including a Mark Lesley wedding gown. For your ticket, contact Rob at Creatiques on 023 92 826622 or by email atcouture@creatiques.co.uk. For more information about Creatiques, visitwww.creatiques.co.uk. The designer show is on the 23rd October at the Royal Marines Museum, Eastney Esplanade, Southsea, PO4 9PX, doors open 10.30am. The prom dresses will be available to view from 24th to the 30th October.